Minya, can you hear me? The 1970s make only a slim showing in the adventure category with The Odessa File, a post-World War II espionage thriller starring Jon Voight. But the 1980s and '90s more than make up for this deficit, with straightforward fare like the Romancing the Stone flicks, the effervescent Adventures in Babysitting (a.k.a. Chris Columbus' best movie), Steven Spielberg's undeservedly reviled Hook, and Ron Howard's fiery Backdraft, as well as a number of more oddball selections, such as the hit-and-miss Heavy Metal, Bram Stoker's Dracula (directed, with a swirl of old-fashioned cinematic fakery, by Francis Ford Coppola), and The City of Lost Children, by the imaginative French team who served up the near-perfect Delicatessen. 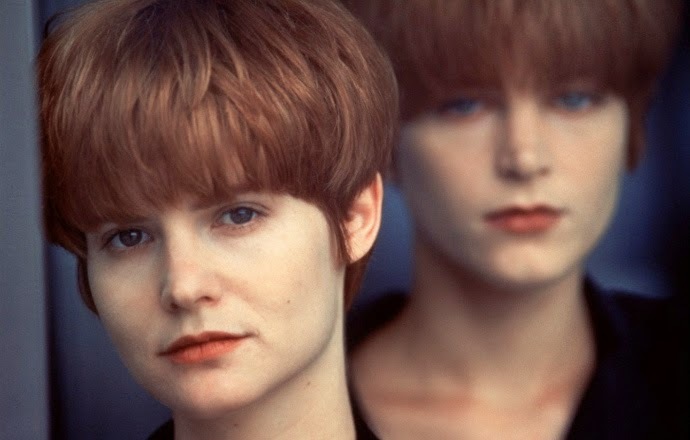 If you're feeling stalkerish, stalked, or have a craving for career-peak Bridget Fonda, you may find comfort in 1992's Single White Female, although just the thought of Jennifer Jason Lee grinning creepily in her Fonda-like mushroom bob makes all my saliva dry up. Or maybe you prefer your action more cartoonish, in which case there's Top Secret!, an all-out spoof of spy and Elvis movies by those wacky Airplane guys, Zucker, Abrahams, and Zucker (ZAZ), not to mention the return of Jackie Chan's massively entertaining The Legend of Drunken Master (even if purists may balk at the dubbed soundtrack). If you're in the mood for something more subtle, or at least something with fewer heads getting kicked (or crushed or stabbed), there are a number of more highbrow flicks now streaming, including 1983's The Big Chill, the world's first official "feel-good" movie (honest—I remember the original newspaper ad). Despite all the flak it took for being the rich man's Return of the Secaucus Seven—and for subsequent films' cliched use of all those great sixties tunes—it's a smart piece of writing and direction by Lawrence Kasdan, genuinely capturing the mood of its aging Boomers as they take stock of their lives and try to assess what, if anything, their counterculture idealism accomplished. The sterling ensemble cast, led by Kevin Kline, Glenn Close, William Hurt, and Jeff Goldblum, treads the fine line between self-awareness and self-pity, with comic moments generally triumphing over maudlin navel-gazing. Another zeitgeist film—and another Boomer nostalgia fest—was 1994's Forrest Gump, which likewise suffered a backlash following its initial success. Sure, it's easy to mock Tom Hanks' Oscar-winning performance as iconic simpleton Gump, but in retrospect the worst you can say of both this and The Big Chill is that they were sincere attempts by Hollywood to provide a degree of social/historical soul-searching within slick, highly entertaining packages—a combo that would frankly be welcome amid today's perpetual superhero machines. But maybe you're over all that Baby Boomer hand- wringing and want something more timeless. 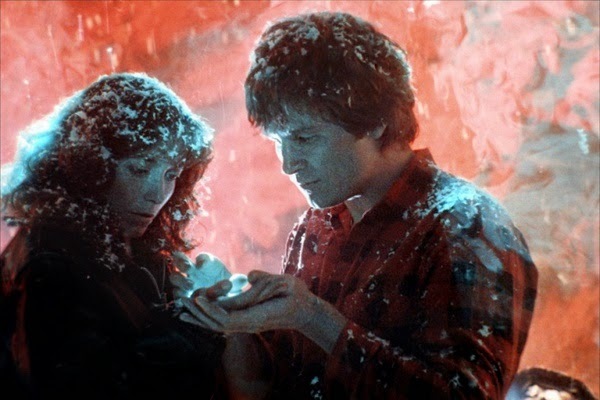 You could do far worse than John Carpenter's Starman (1984), which casts the always excellent Jeff Bridges as a hunky, displaced E.T. who falls for the husky-voiced charms of lonely widow Karen Allen. The final act may feel overly Spielbergian and oh-so-'80s, but the performances (Bridges was nominated for an Oscar) and sensitively portrayed relationship help this rise above most of its genre shortcomings to become a touching and enjoyable sci-fi romance. The 1970s also offer up a couple of prestige films, including 1978's The Buddy Holly Story (nicely paired with La Bamba, from 1987), along with one of my all-time favorites, Peter Bogdanovich's Paper Moon (1974), a Depression-era comedy that's due its own review here soon (now posted). For a film actually made during the Depression, check out Frank Capra's classic, Mr. Smith Goes to Washington (1939), a still relevant attack on political corruption starring Jimmy Stewart, the Tom Hanks of his day. And if depression itself is what you're after, take a gander at one of the great feel-bad movies, 1999's Boys Don't Cry. A heartfelt and dramatic account of the true story of transgender Brandon Teena—passionately realized by Oscar-winner Hilary Swank—it's also grueling as hell, with a tragic inevitability that may force you to hit the back button before it's over and queue up something weird and relatively cheery. Like, say, 2006's Fido—a wholesome 1950s-era tale about a kid's pet zombie who takes a bite out of the neighbor. Sure, it's not exactly highbrow, but as dark horror comedies go, it's definitely palate-cleansing. 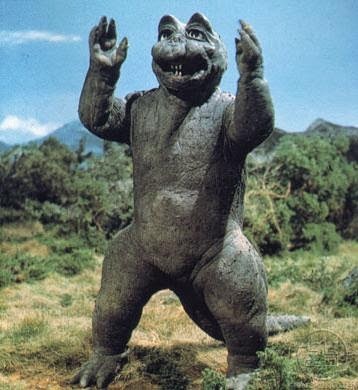 It's also way more clever than the goofy, chatty antics of Godzilla's smoke-ring-breathing offspring.